Murphy John “Bill” Domingues was born October 24, 1912. He is a native of Vermilion Parish, a descendent of the Spanish “Islaneos” who settled in Vallenzuela, a community near Donaldsonville and of French Acadians from the same area. As a small child his family migrated to the Henry-Boston area of Vermilion Parish. He is the son of Oleus Domingues and Ezimily Collins, and the grandson of Felician Domingues and Elizabeth Dugas. His maternal grandparents were Robert Collins and Johanna Moss. His father died shortly after his birth and during his preteen years he helped the family by delivering bread from their Abbeville bakery. Many times he would sprint to bring loaves of bread to the customers. This may have been his start to his many accomplishments in track and field. Murphy attended Abbeville High School and in 1932 was that school’s outstanding athlete where he starred as quarterback and defensive safety. He also was an exceptional sprinter in track. During his prep years he was on teams that won the 1929 district football title and the 1930 Southwestern Relays. 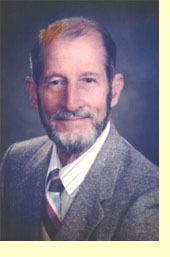 He graduated from Abbeville High School in 1933. Murphy earned a football scholarship to Louisiana Normal (now Northwestern State) in Natchitoches where he played quarterback under the legendary Coach Harry “Rags” Turpin and also ran track for the Demons. After attending college for two years, he went to work for Southern Bell Telephone which produced a career of 44 years during which he participated on the company’s softball teams. Shortly thereafter, Murphy began competing in the newly organized Senior Olympic Games and the challenges it brought from throughout the United States. In these competitions, Murphy won numerous awards and medals. Murphy married Hazel Smith from Jena, Louisiana in 1938. Together they had three children and today he has seven grandchildren and nine great-grandchildren. After his wife’s death in 1977 he met and married Rosemary Aycock of Lafayette in 1983. She has been active with his involvement with the Senior Games and his most ardent fan. In 1984, Murphy was inducted into the Abbeville High School Hall of Fame. This encouraged him to continue sports participation in the Senior Games. To prepare for sporting events, he became a member of Red Lerille’s Health Club. For the past twenty years he has been exercising on a daily basis. He was and is the reigning state champion in several events. Murphy owns records in the 200 meter and 400 meter dashes in the 70 – 74 age group in state competition. In the 75-79, 80-84, and 85-89 age groups, he has won the 100, 200, and 400 meter dashes in state competition. Because of his outstanding athleticism, he was inducted into the Louisiana Senior Sports Hall of Fame in 1994. Recently, competing in state games in Hot Springs, Arkansas, he won the gold in the 100, 200 and 400 meter events.